Plumbing problems, we all have them and they're awful. They smell bad, flood our homes and destroy a lot of stuff. So when the worst happens, who do we call to fix it? The heroic plumber! However, the average person does not know much about the noble profession, so we assembled some facts to enlighten us all about where our modern plumber comes from. “Plumbing” comes from the word for lead, which is plumbum. People who worked with lead were called Plumbarius, which was eventually shortened to the word we use today. Plumbing dates back to roman times when the Romans used lead pipe inscriptions to prevent water theft. After that, virtually no advance in the profession was made until the 19th century when actual sewage systems were created to eliminate cesspools. More recently, technology has taken off and resulted in the modern piping and water treatment that we enjoy everyday. Over $100,000 were spent on a study to determine whether most people put their toilet paper on the holder with the flap in front or behind. The answer: Three out of four people have the flap in the front. 90% of pharmaceuticals taken by people are excreted through urination. Therefore our sewer systems contain heavy dose of drugs. A recent study by the EPA has found fish containing trace amounts of estrogen, cholesterol-lowering drugs, pain relievers, antibiotics, caffeine and even anti-depressants. Who are the most famous plumbers ever? Mario and Luigi of course! They have been in over 200 games since Mario bros was created in 1985. The “Bathroom” has been named many different things in many different places. Here are a few of my favorite ones: The Egyptians named it the House of Horror, the Romans named it the Necessarium for obvious reasons. The Tudors who ruled England for a period of time called the bathroom the privy or house of privacy. People of France call it “La Chambre Sent” meaning the smelly house, self-explanatory of course. Israelis call the bathroom the house of honor, this one confuses us the most. Fox Plumbing & Heating hopes that you enjoyed these facts and don’t forget to say hello to your neighborhood plumbing professional! Choose Fox Plumbing & Heating Today! No matter what plumbing issues you may be facing in your home, you can always rely on our Seattle plumbing professionals for the help you need. From clogged drains to tankless water heater installations, and anything else in between, we will be able to help you. With over 50 years of plumbing experience to bring to your home, you can rest easy knowing that your home is in the best hands. Are you looking for an expert Seattle plumber you can trust? Call us at (206) 654-4990 and let our professional Seattle plumbers offer you over 50 years of plumbing experience today! Our Plumbing Professionals have weekly training from the top vendors in the country to help insure that you get the best service, and most knowledgeable expertise the first time. Fox Plumbing & Heating takes pride in knowing that we only provide the best products in the industry. 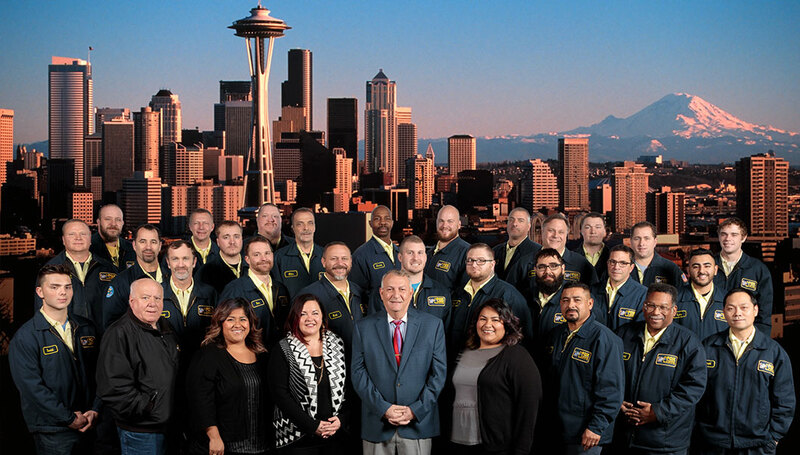 Located at 7501 2nd Ave. S, Seattle, we’ve been servicing all of Seattle and King County for over 50 years, and we’re looking forward to servicing all your needs for the next 50 years! Here are just some of the specials that we currently offer at Fox Plumbing & Heating. You can like us on Facebook and Twitter to get special offers from Fox Plumbing & Heating.